The Dodgers are coming to Des Moines with one thing on their mind: sweeping the State Duals and Traditional Tournament. 13 Dodgers qualified for this tournament, the depth is obviously there. The Mustangs qualified 9 for the Traditional Tournament and will need to pull some major upsets to have a shot in this one. Look for the Dodgers to advance to a much anticipated semi-final match-up with #4 Southeast Polk. Still trying to figure out how Southeast Polk fell to the 4 seed, but it is what it is. 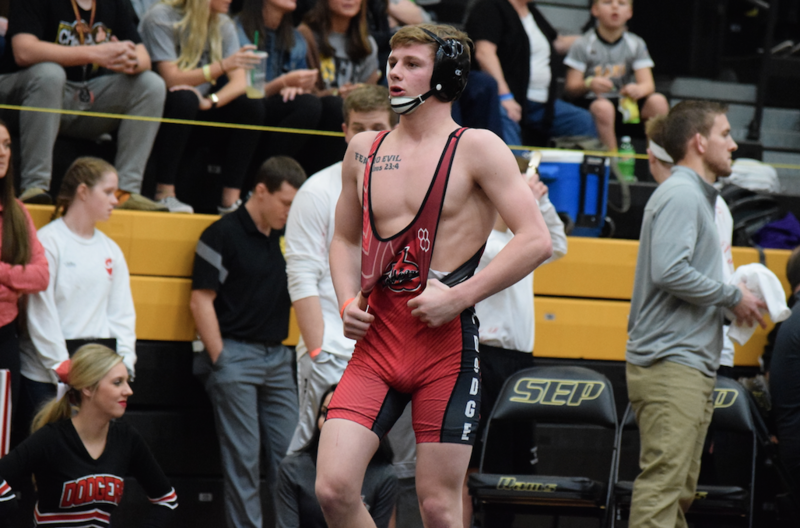 These two CIML rivals did not meet in a dual this year, however SEP out-placed Johnston both at The Ed Winger Classic (1st/3rd) and CIML Conference Tournament (2nd/6th). The Rams presumably hold the advantage in the ranked match-ups and should advance to face #1 Fort Dodge in the Semi-Finals. Waukee is lead by their lower weights and 2-time State Champion Kyle Biscoglia. The Warriors are sending 8 wrestlers to the big dance and should progress to the semis to set the stage for a rematch with #2 Valley, WDM. The Hawks are making their first State Duals appearance under head coach Cory Connell. The Tigers are looking to make their 3rd State Duals semi-final appearance in as many years, led by seniors, and ISU signees, Grant Stotts and Joel Shapiro. North Scott has battled some injury issues this year, but coach Drew Kelly always assembles a competitive dual squad. The Lancers will need to pull a couple of upsets to advance in this one. This is the dual I have been waiting to see all year: the rematch from last year’s State Dual finals. The Dodgers have been tested by a few duals this year, but stand alone as the only team in the state with an unblemished record. I have this match up even at 6 victories a piece, with 2 toss up matches. Which coach will pull the right strings and which team will score the bonus points that could determine the outcome? Whoever wins the flip could be in the driver’s seat. These two CIML foes hooked up in mid January with the Warriors scoring a 41-27 victory at home. Both teams shuffled their lineup for that meet, and the alterations paid off for Coach V and his staff. Depending on how the lineups shake out, I see 138, 160 and possible 220 and Hwt as tossup matches. With a finals spot on the line, be prepared for this to be a tight match up. Fort Dodge won the first meeting at home on Senior night 40-22. On that night the Dodgers were without the services of Carson Taylor, while the Tigers were missing talented freshmen Caleb Corbin. The first meeting had 3 match ups decided by 1 point. The Gold will be on the line hopefully both teams come ready to battle. Anyone want to see Stotts/Lara III? February 12, 2018 in 2018 State Tournament Coverage, 3A. This is nonsense not to include records at invitationals. fine dont, but Waukees body of work nor Valley bests Southeast Polk. Its a dual match up ….. try to pay attention….. someone sounds b@#$ hurt….. I know your not FD because they didnt move weights around for cheesy wins. and clearly your team has been bent over quite a few times so you have the sore rear end.